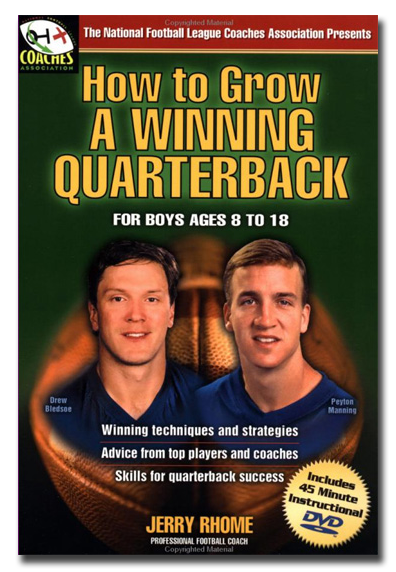 Great DVD by MVP, Peyton Manning; Pro Bowler, Drew Bledsoe, and Arizona Cardinals Head Coach, Bruce Arian. Instructional book is for quarterbacks, parents, and coaches written by a 33 year veteran player and coach, Jerry Rhome. Contains information on drills and physical & mental suggestions on how to play the game of quarterback. This book/DVD set comes directly from Coach Rhome with personal handwritten note of suggestions and encouragement. **Price includes postage and handling.